Maingear is set to release an 11-inch gaming laptop powered by Intel’s recently announced Ivy Bridge processor. The Pulse will fill the gap left by Dell’s Alienware M11x, an 11-inch portable gamer that was recently phased out by the company. 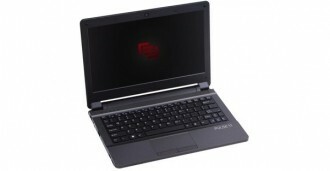 The Pulse will include an 11.6-inch backlit LED display operating at 1366 x 768, the aforementioned Ivy Bridge processing power and up to 16GB of dual-channel DDR3 memory. Connectivity options include HDMI-out 1.4a and USB 3.0 while THX TruStudio Pro takes care of the audio requirements. An Nvidia GeForce GT650M with 2GB RAM will handle gaming duties while the Intel GMA HD GPU will take care of the lighter work in Windows. Aside from screen size, no other system dimensions were given, nor do we know if there will be an option for a solid state drive. Otherwise, the system seemingly appears fit to be classified as an Ultrabook. Dell’s 11-inch gaming notebook manufactured a lot of hype when it was released in 2010 but as The Verge explains, the system no longer fits the company’s vision of what should be in a notebook. Notably, the lack of a full size keyboard and an optical drive didn’t seem to bode well with Dell customers. Maingear will begin shipping systems on June 3 with prices starting at $1,099 for a Core i5 with 8GB of RAM and a 320GB hard drive.